GURU JAY: What Is Country Music Without Miranda Lambert? What Is Country Music Without Miranda Lambert? What is country music without Miranda Lambert? Her best is yet to come. Miranda Lambert could become the next Reba McEntire or Dolly Parton. If she smartly markets her name and creates a valuable brand, she’ll have unlimited earning potential. They say all things from Texas come in big packages. No wonder Miranda was born there. She has the biggest chops outside Oklahoma. Back in 2003 she became a finalist on Nashville Star. 2 years later she debuted her first album entitled Kerosene. Soon after blazing country trails she set the world on fire. Today, the country singer’s reach isn’t constrained by geography. Miranda Lambert has demonstrated she is the cream of the crop. She has proven her dynamic ability to consistently generate hits. I love listening to Lambert sing. Her latest album, Platinum, showcases a wonderful exhibit of her talents. She is a skilled music artist driven by passion. Miranda Lambert is excited to tell a story with her carefully crafted lyrics. 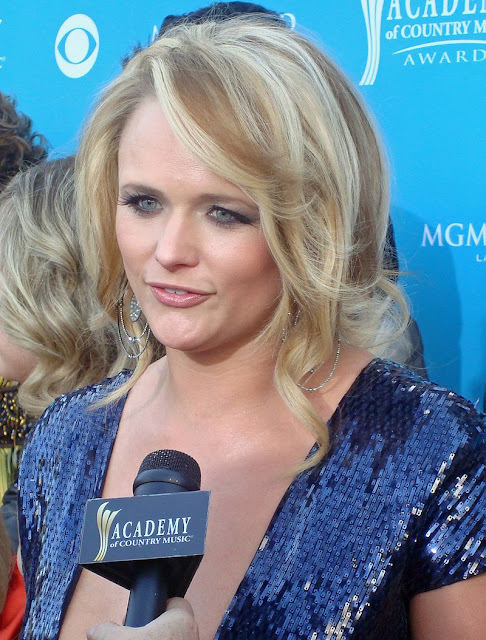 Miranda’s rank falls in between Carrie Underwood and Jessica Simpson. If Carrie is a 10, Miranda is an 8 or 9, and Jessica is a solid 7 as far as music is concerned. Now, as far as attractiveness all 3 blondes are 10s. Although Miranda Lambert’s birth records say she’s 32 years old, she could pass for 25. As you can see I am great with numbers. And Miranda produces them in the form of record sales, concert tickets, and social media. Amassing 8.5 million Facebook likes like Miranda Lambert is an impressive feat. Like George Benson, Miranda Lambert will make it on Broadway ‘cause she can play this here guitar. The House That Built Me songstress is a homegrown sensation. Country music isn’t the same without one of her biggest stars blessing the microphone. Miranda’s mission is to serve mankind with her offerings. Her image is worth a king’s ransom. That’s why she graces the covers of magazines for an exorbitant fee. Most say she’s worth every penny. What is more, Miranda means the world to country music.